Ms. Lana Gore studied accordion under the tutelage of jazz artist Tony Dannon at the Modern Accordion Schools in Dearborn, Michigan. She attended Wayne State University's School of Music and the Detroit Institute of Musical Arts, later earning a Bachelor of Arts degree from the University of Michigan with a major in music history and theory. In 1981 she opened her own private music school in Dearborn Heights, The Music Centre Conservatory, where she had a teaching staff of ten instructors and over 300 students. Lana's students have won major titles in all of the most prestigious music competitions throughout the USA and Europe. Her most decorated student is Peter Soave won the CIA Coupe Mondiale, as well as several other international titles. Her other students have won awards in many national and international competitions and her prize winning accordion orchestra has performed throughout the metropolitan Detroit area and made two European concert tours performing in Austria, France, Germany, Italy, the Republic of San Marino and Switzerland. Lana was appointed as an adjunct faculty member teaching Accordion and Bayan studies at the College of Fine and Performing Arts at Wayne State University in Detroit in 1985 and was also affiliated with the Applied Music Faculty at the University of Michigan-Dearborn Campus. Lana was nominated as one of the ten 2005 Michiganian's of the Year sponsored by The Detroit News. 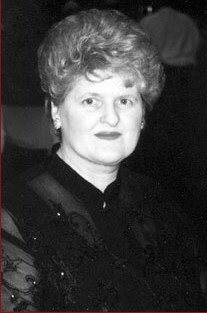 In addition to teaching, giving seminars and adjudicating in international festivals around the world, Lana supported the local accordion scene by serving as President of the Michigan Accordion Society in 2006 as well as supporting both the Accordionists and Teachers Guild, International (ATG) and the American Accordionists Association (AAA).